Chuhak & Tecson, P.C., employs more than 130 attorneys and staff who desire “more” for their work life. We attract hard-working, enthusiastic problem-solvers who are creative enough to think outside the box—and are heartily encouraged to do so. Chuhak & Tecson is a roll-up-your-sleeves-and-dig-in kind of firm, where a project that may have originated as the responsibility of a few people turns out to enlist many others who by nature go out of their way to help colleagues. The mutual dedication that our attorneys, professional and support staff, and law clerks have to each other is the cornerstone of our service. 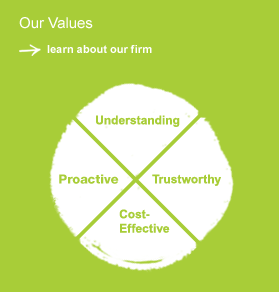 It's what enables the goals and successes of our clients to remain paramount to our firm. Please note that all applicants must be legally authorized to work in the United States without sponsorship.